Because French meddling in African affairs has left a lasting, debilitating legacy. Olympio was never our friend. President of Togo, Sylvanus Olympio, poses at New York International Airport. Prior to independence, France ran Togo (a former German colony) as a protectorate. When the independent nation was established, France demobilized all Togolese soldiers. 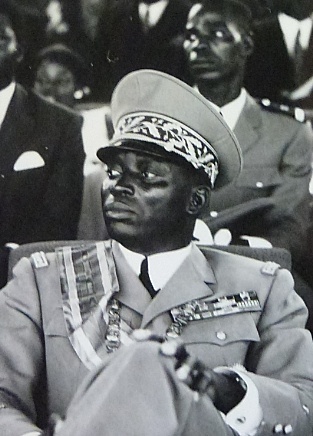 About 30 of them who had been fighting France’s colonial wars in Algeria and Southeast Asia wanted to be part of the new Togolese army. Olympio, a staunch nationalist, would have none of it. One of the snubbed men was Eyadéma. That was about as ominous as it got in the world of former French African territories, which France still considered its own backyard. By contrast, the United States declared itself shocked by the assassination. The previous year, Olympio had been “very warmly received,” as the White House statement read following his murder, by an equally dashing John F. Kennedy. Also shaken was the U.S. ambassador at the time, Leon B. Poullada, who had been alerted to what was going on, had gone to the embassy compound and found Olympio hiding in that car. Unwittingly, or so the theory goes, he had called the French ambassador to ask for advice, not knowing that France was behind the coup and thus had given away the Togolese president’s location. “Faure Gnassingbé is more open than his father ever was,” Yabi continues, “but people are still fearful to take to the streets. They may lose their lives.” Last August, at least 11 people were killed in mass demonstrations. “There is a tradition of repression in the country,” Yabi says. It may take more time for a third dawn to break.